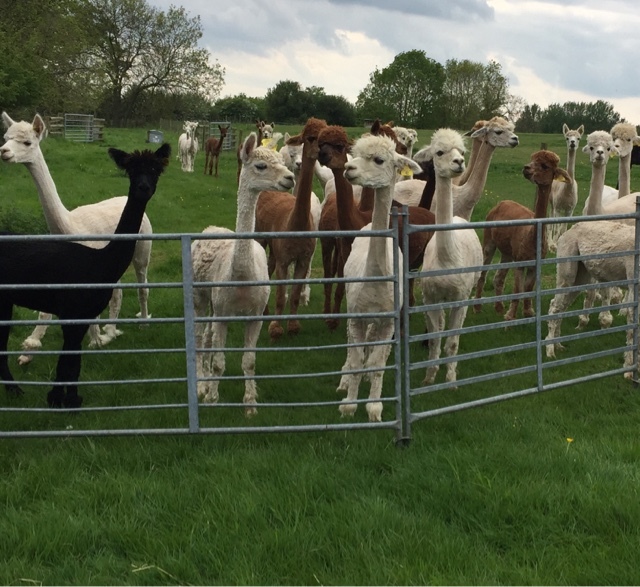 Diary of an Alpaca Farmer : Hallelujah....Bring on the boys ! These girls are those that over wintered in the non pregnant paddocks yearning to meet the boys and satisfy their need to reproduce. We started mating at TOFT as soon as shearing finished, which was last week. So these girls are now all together in the early mating paddock being run in and serviced every other day by our very happy Stud males. Every day they queue at the gate with that 'look' in their eye! The sound of 'orgling' echoes around TOFT every Monday Wednesday and Friday at the moment as the boys get themselves match fit for the rest of the season.